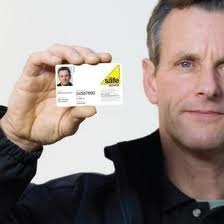 If you do need to call an engineer at any time, always make sure he is Gas Safe registered and ask to see his Gas Safe registration card - he should carry this with him at all times. If you are in any doubt, you can contact Gas Safe directly to check that your installer is Gas Safe registered. Is Your Engineer Gas Safe Registered? The training process for becoming a heating engineer can start at the age of 16 once you have finished your GCSE level qualifications you can continue onto a NVQ level 2 in either Mechanical Engineering or in Basic Plumbing Skills. The main education authority for courses of this kind are the City and Guilds group that take the level of education in the subject up to a level 3 in Mechanical Engineering services or a level 3 in Plumbing studies it is often thought best to run the two courses along side one another, however, this may not be necessary if you are taking an apprenticeship. It is advised to start training in the trade as young as possible as you can get the experience in the practical side of the work as well as the knowledge learnt in the courses. It is important for you to have a polite manner in the way you deal with people and be very good at explaining technical situations in a way that the customer will be able to understand. 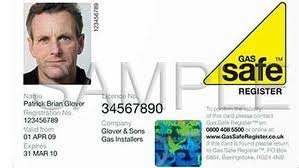 What do I need to check on the Gas Safe ID card? The card is there for your protection. Make sure that you check the front and the back of the card.